Posted February 23rd, 2016 by Ruthie Hawkins & filed under Fashion. 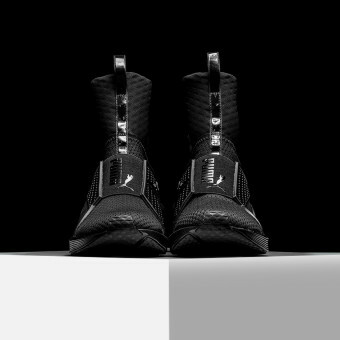 Days after announcing a new partnership with reality star Kylie Jenner, Puma and music’s resident bad gal, Rihanna, unveil their first original sneaker collaboration, The Fenty Trainer. 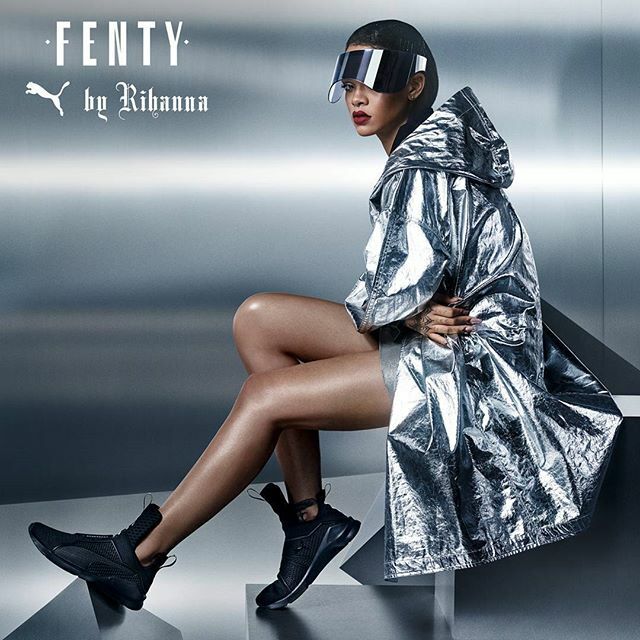 Following the massive success of the “Creeper”, it’s no surprise Rihanna and the Puma Fenty collection would continue to push the envelope in footwear. Although no price points have been disclosed, it appears that some true creative design went into the trainer. 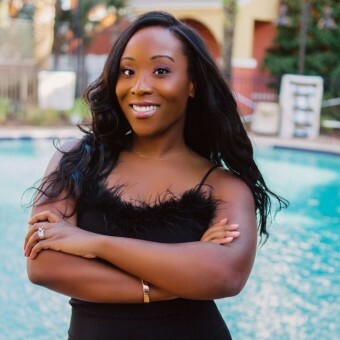 Take for instance, it’s super distinctive silhouette featuring a high-top like structure, but the “fit and feel” of a comfortable running shoe. 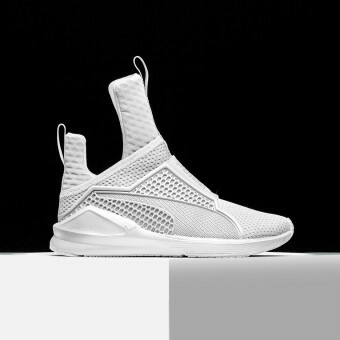 Debuting in three tonal colors “Whiteout”, “Blackout”, and “Red Alert”, the Rihanna x Puma Fenty Trainer makes use of a lace-less construction with an over-extended heel and tongue pieces to give the sneaker a futuristic and stylish appeal perfectly matching the pop stars new futuristic feel. 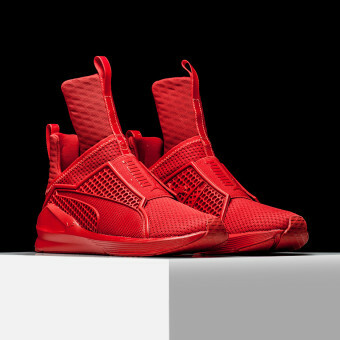 Beginning Friday, Feb. 26, all three shades will available for purchase at select Puma retailers like Rise. In the meantime, tell us, are you feeling RiRi’s latest debut? Sound off in the comment section below.